What happens to an adult who finishes a learn-to-swim program, but thinks Masters Swimming is “for professionals”? See how one club welcomes rookies and helps them learn the ropes of club swimming. 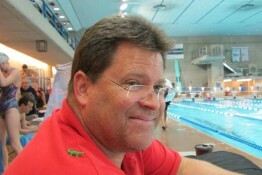 In November, 2012, coach Ian Feldman invited a prospective member to come and watch a Thornhill Masters workout (in the Greater Toronto Area.) He accepted, but his reaction that he couldn’t possibly join was based on his impression that the club is for experts only. He was inevitably followed by a handful of others with the exact same response. When the club’s request for additional pool space was granted, effective March 2013, it wasn’t hard for Ian and his coaches to come up with a way to fill their new lanes with those who previously considered it too daunting. 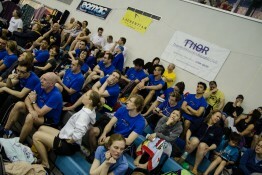 The Emerging Swimmer program was born. Over 12 weeks, the new recruits would receive targeted coaching from Andrien Ho, while Ian coached the rest of the team in the adjacent lanes. As a Red Cross instructor, Andrien had plenty of experience with new swimmers. He knew exactly where they were coming from and that helped him make their transition to club swimming smooth. He describes it as a “springboard for those who have swum recreationally in the past and want to take it to the next level,” welcoming even those who last took swimming lessons as a child. Of the 14 participants in the pilot, only two haven’t indicated that they are signing up with the team this season: one isn’t sure yet, and the other is moving out of town. 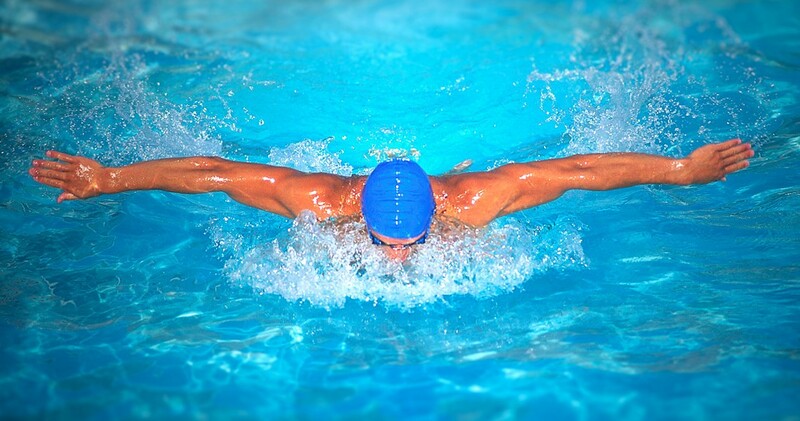 Besides learning lane etiquette and how to read a pace clock, the focus is on stroke and skill development as well as endurance. 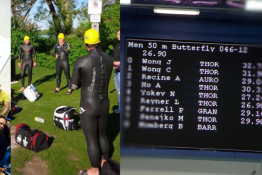 Three of the members who could barely get across the pool in their first week even swam the 1500m open water Toronto Island Lake Swim in August. The program’s goal is to have members ready to join the main club at the end of the 12 weeks. 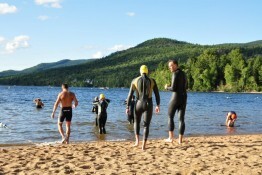 Several of the new members are training for triathlons, including runner Harvey Foote, 48. Having never taken swimming lesson before, he has been pleased to learn the proper technique that got him through two sprint triathlons and an open water swim. 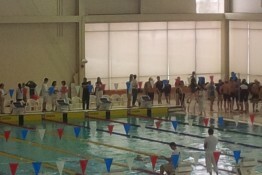 The team includes swimmers who are among the fastest in Canada. But Ian stresses that the club has always been community-based, and, “the beginner is just as important as the elite.” He points out that without beginners, there would never be elite swimmers. Ian acknowledges that this type of program is not the first of its kind, simply new for their team. But this is a club that is no stranger to growth. 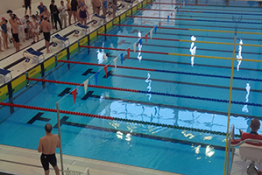 When the Thornhill Masters, part of the Thornhill Multisport Club, opened their doors in 2004, they had 12 swimmers. Membership plateaued at 120 in 2011-2012, full capacity at their two training pools prior to recent addition of lane space. Ian emphasizes open communication with facility staff. He took the time to ensure they understood the program’s goals of teaching participants how to swim in a club. This was key to establishing this program as a continuation of learn-to-swim classes, rather than as an alternative to them. A key distinction is that the club offers a transition from the pool to the open water, something you won’t find in many learn-to-swim programs. May Liu, 35, a newcomer to triathlon, used to be intimidated by swimming in open water. Besides the lack of lane ropes or walls, she describes the mass start as, “having people splashing and bumping into you while you try in vain to stay afloat and avoid a panic attack!” She credits the club and the emerging swimmer program with easing her mind and teaching her to race. Does Emerging Swimmers sound familiar? Ian is right on trend. There is a Canadian-led movement in the international sport community to encourage the development of fundamental movement skills, or physical literacy. It follows the idea that everyone should be given the opportunity to learn to read. An emerging reader is one who knows the alphabet but is in the early stage of skill development of understanding words: an emerging swimmer would be expected to take the building blocks of aquatic movement and apply it to swimming in a club environment. Is your club offering something special to new swimmers? Tell us about it: share it on the Facebook page. Do you have questions for Ian about this program? Contact him. 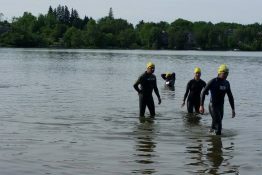 Whether beginner or elite, whether Swimmer or Triathlete, Thornhill Multisport has a program for you….